Hi everyone! 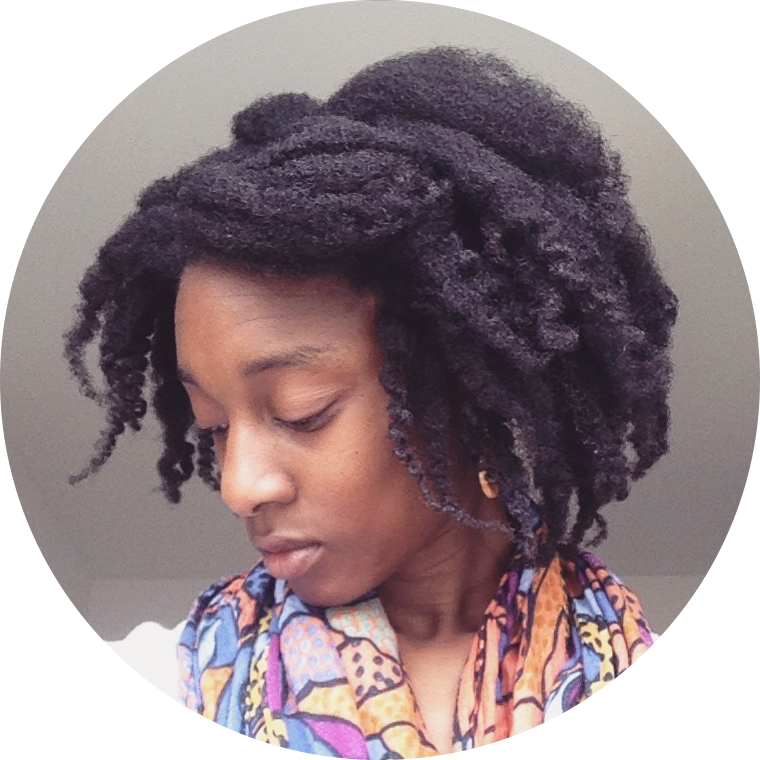 In this video I wanted to talk about being natural and having fine, low density hair. Many people believe (and I was the same) that having afro hair means really thick, coarse hair and this is the reality for many naturals. However there are some, like myself who's hair does not share the same characteristics. My hair strands are fine/thin and I also don't have loads and loads of hair. Some bloggers who have a similar issue are Nalia 1908 and Evelyn From The Internets. These are good examples of naturals who are managing their fine hair, and Nalia in particular has retained lots of length. If you know of any more vloggers please leave the links in the box below and/or do post your own hairstyles on our Facebook page which naturals with fine hair can easily do. As I mention in the video having fine hair can make creating certain styles a challenge, especially protective styles like single braids and twists which are so useful in aiding length retention. So what's a girl to do? One thing I would say is "Loose twist it!" Loose two strand twists have been great for my hair! Watch on to hear the rest! Why is my hair so dry? I think dryness is the top complaint of those who have type 4c hair. When I made the decision to go natural I didn't realise how thirsty my natural hair really was. I had never learnt about what it likes or how it needs to be treated. One of the things it loves is water. Type 4 hair loves to drink, drink, drink!. My relaxed hair did not like water at all and I would do everything in my power to make sure moisture did not touch it before my fortnightly wash day. 3. You could also use a leave-in conditioner after you have spritzed your hair and then seal with the shea butter. 4. Another suggestion would be to try aloe vera gel before you seal your hair. Aloe vera gel is an excellent moisturiser. It has a ph reading which is very close to our hair (around 4.0-5.5) and because of this it helps close the cuticles of our hair thus reducing the amount of moisture allowed to escape. Kimaytube expands on ph balancing the hair here. 5. What do your shampoos and conditioners contain? Do they contain lots of silicones and sulfates? These substances are found in many commercial haircare products and are extremely drying to the hair. See here for more details. Also note how often you wash your hair. I would suggest washing type 4 hair only once a week with shampoo, however if you need to wash your hair more frequently you could try conditioner washing your hair (co-washing) or an apple cider vinegar rinse on other occasions during the week. 6. What styles do you wear during the week? If your hair is always out it may be more prone to drying out due to continued exposure to the environment. Try to wear more protective styles or moisturise and seal your hair more often if you wear your hair out regularly. 7. How often do you deep condition? Try to deep condition your hair at least once a week. It's a good way of adding moisture back into your hair which is lost during the week. I make my own deep conditioner using ingredients from my fridge. It's cheap and it only contains natural ingredients. 8. How often do you use heat or dyes on your hair? Frequently using heat styling equipment or dyes will cause it to dry out as these styling methods causes the outer cuticle layer of your hair strands to be lifted or damaged. In turn, this allows moisture to easily escape from your strands. I only use heat on my hair once a year as I have fine strands and I don't want to risk heat damage. Some hair textures can withstand more frequent exposure to heat. I would suggest perhaps aiming for irregular use of heat styling tools, maybe just on special occasions or significant events. 9. Have you just big chopped after years of using relaxers? It may be that your new growth, directly under the scalp has been affected by the harsh chemicals. This is called 'scab hair'. This new growth is said to have produced extra protective layers in reaction to the relaxers/texturisers this therefore results in dry hair as moisture finds it difficult to penetrate the over protected hair shaft. If you're experiencing scab hair then don't worry, it's said to only last for the first 6-12 months, so keep regularly moisturising and deep conditioning your hair. 10. Do you know how porous your hair is? "Porosity is the term used in the science of hair care to describe how easily water and other matter can diffuse back and forth through the cuticle layer and into or out of the cortex" (Naturallycurly.com) . Cipriana from Urban bushbabes helpfully explains how having hair with high porosity can mean that moisture is not easily absorbed into the hair shaft. Check your hair's porosity levels. You may need to change a couple of practices in your regime (or many) in order to see a real change in the condition of your hair. I would suggest changing a couple and then testing these changes over a period of a week or fortnight to see how your hair reacts. If you notice a big difference then you know that those factors were the culprits most likely causing the problem. However, if not, then try changing a few other factors named in the list above. I hope the suggestions above might help you on the road to discovering what might be causing your dry hair.